O’NEALS — Are you ready? 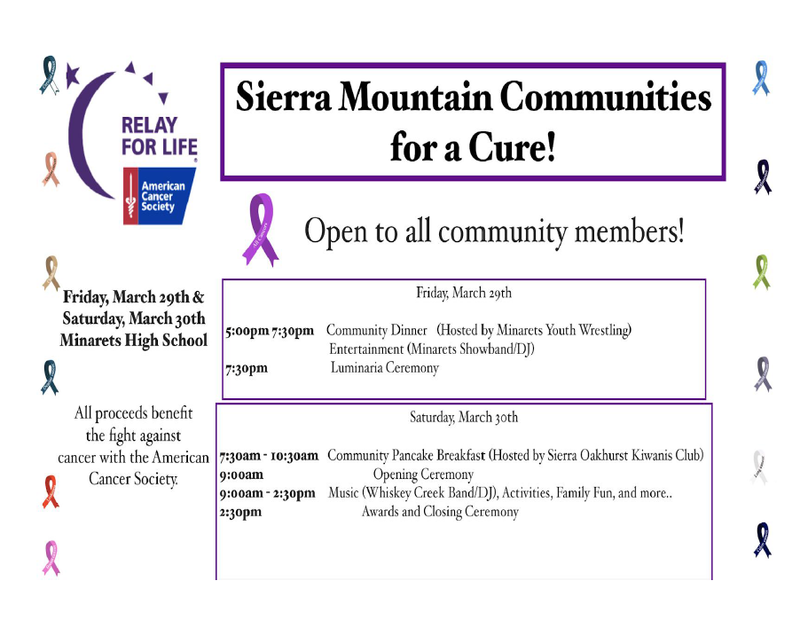 The countdown is on — just ten days until Relay for Life: Sierra Mountain Communities for a Cure begins! 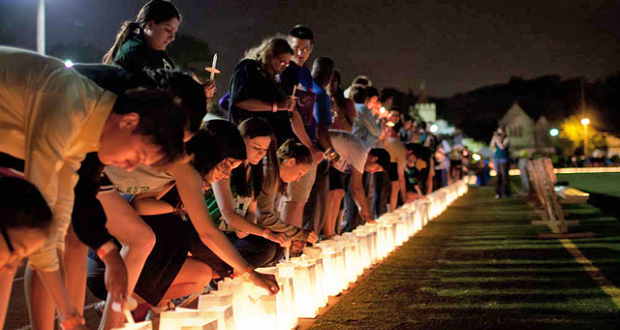 The entire community is invited to join in the celebrations as we memorialize those we have lost, honor those who are currently fighting and those who have won their battle with the terrible disease we all know — cancer. Each and every one of us has been affected by cancer in some way. You are invited to join the fight. Bring the whole family on Saturday, Mar. 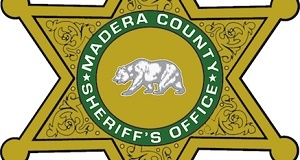 30, for a Community Pancake Breakfast sponsored by the Sierra Oakhurst Kiwanis Club from 7:30 – 10:30 a.m. (only $5 per person), the Opening Ceremonies, and a day filled with fun, joy, love and laughter. 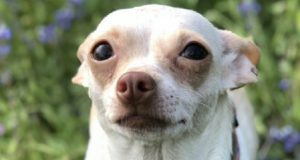 You can even donate your hair to either Children with Hair Loss (8 – 11 inch ponytail), or Wigs for Kids (12 inches and more), get a massage, participate in a Silly String Fight, or get your photo taken with Benji, the miniature horse. Each Relay Team campsite will have a fun activity in which you may participate as well. 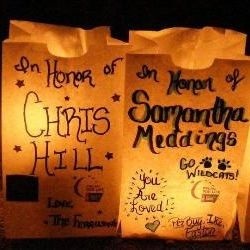 If you are interested in donating to American Cancer Society, or purchasing a luminaria, please visit Relay For Life. Contact Daniel Ching, or Therese Righter if you have any questions.